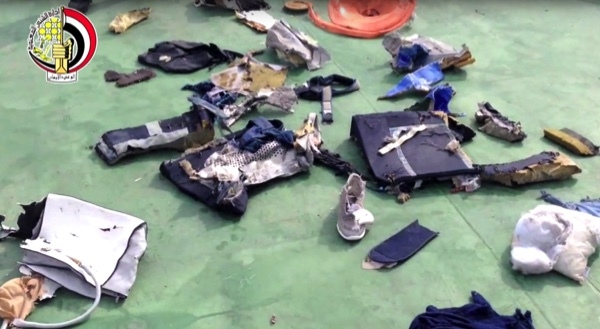 EgyptAir Flight 804’s automatic radio messages about smoke in the front portion of the cabin were generated minutes before controllers lost contact with the aircraft over the Mediterranean Sea, French accident investigator BEA said Saturday. The electronic signals offer a puzzling twist to what may have happened to the flight, which went down on Thursday with 66 people aboard. Two error messages, the first at 2:26 a.m. local time, suggested there was a fire on board, while later alerts indicated some type of failure in the plane’s electrical equipment. While similar signals have preceded air accidents in the past, the warnings aren’t associated with a sudden disappearance from radar as occurred with the Airbus A320 over the Mediterranean. A Malaysian Airlines flight shot down over Ukrainian airspace in July 2014 broke apart so quickly that on-­board systems didn’t have time to send distress messages. The transmissions, which are automatically sent to ground stations so airlines can monitor whether a plane needs maintenance, will probably provide valuable clues once they’re matched up against the plane’s crash-proof flight recorders. 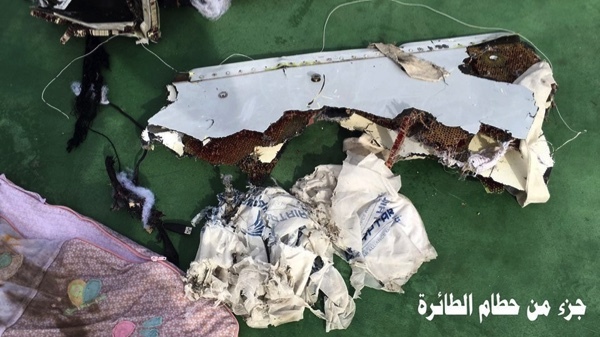 Egypt’s Ministry of Civil Aviation said in a statement Saturday that transmissions collected from the plane may have different causes and require further analysis before drawing any conclusions. “We are looking at all the information that is collected but it is far too early to make a judgment or decision on single source of information,” it said. The so-called black boxes, painted bright orange, store key flight metrics and sounds from the cockpit that could definitively detail what downed the plane. It took salvage crews several years to locate and recover the devices from the doomed Air France AF447 flight that went down in the Atlantic Ocean in 2009. Malaysian Airlines MH370 still hasn’t been found more than two years after it disappeared. air breakup. Large chunks of wreckage might suggest the aircraft hit the water largely intact. The flight lost contact in the middle of the night in the wider area of the Strabo trench in the so-called Hellenic Arc in the seas south of Greece, where waters are as much as 3,000 meters deep. The wreckage was discovered about 290 kilometers north of the Egyptian city of Alexandria, authorities said.